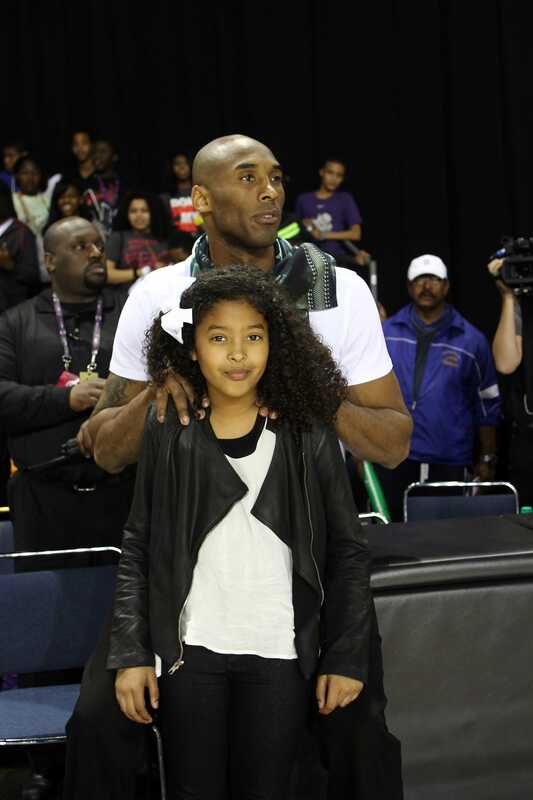 Louis Dollagaray / GettyKobe Bryant and daughter, Natalia Bryant attend the 2013 NBA All-Star Celebrity Game. Let me tell you a story. My daughter just went back to school. She’s 11. She said: “Remember when I used to get nervous about maths?” Her hands would get really clammy. I asked how she got over it. And she said: “I started thinking that once you take a maths test, it’s done. I’m going to wake up the next day.” It may be a good day, it may be a bad one, but the cycle continues, no matter what happens on the maths test. There’s an infinite groove. Whether you make the shot or miss it is inconsequential.